Highlight your subject in a square frame, or share your Instagram memories with an 8×8 photo. Square 8×8 prints make a perfect companion to our 8×8 photo cover books. Print and frame your photographic favorites while adding interest to your photo collection. We offer cheap photo prints online with all the custom options you need, whether you’re printing square photos or a poster enlargement. 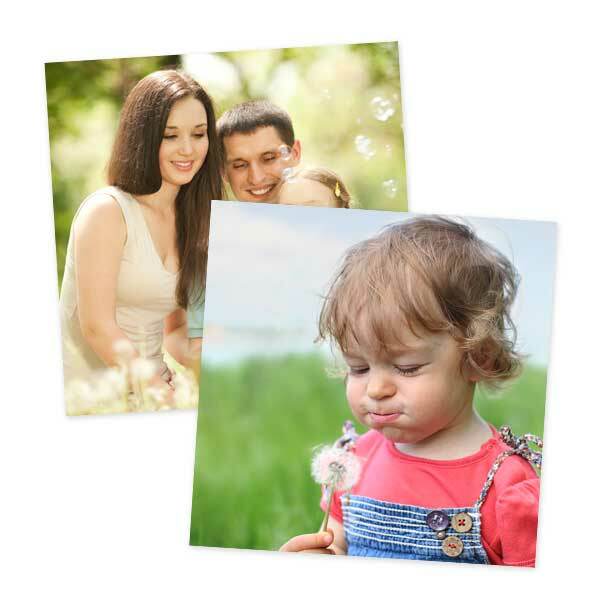 From a cute pet picture to an unforgettable wedding memory, it’s sure to look great printed on our 8×8! Go bigger with our 12×12 prints! You can showcase them in a frame to update your wall decor. All of our square print sizes are perfect for Instagram pictures or for highlighting any photo saved to your phone or laptop. Or go smaller with our 4×4 prints to fill up your family album! When you want to print pictures cheap with all the custom options, Winkflash is guaranteed to fit the bill! 8×8 Photos are available in Glossy or Matte Finish.